That right, an event for ages 6 to 18 months. 6-8 Months: Crawl to finish line. 10 - 12 Months: Start on knees, then crawl or walk to finish line. 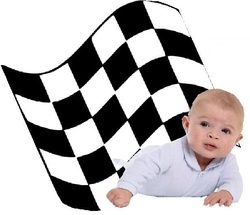 13-18 Months: Must crawl/walk through an obstacle course to finish line.